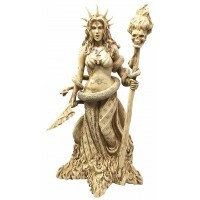 Hecate, Greek Goddess of witchcraft and underworld as the Light Bearer is beautifully depicted in this stunning statue. The Light Bearer from the Eleusian Mystery School. 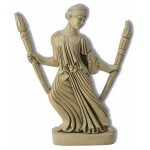 Hecate was known as the gate-keeper, key-holder, she guards the door to the inner sanctuary of the Mysteries. 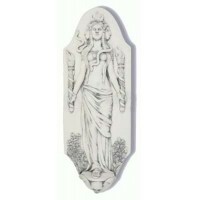 The only goddess powerful enough to travel the three worlds, heaven earth and underworld, she is known as the Greek Goddess of witchcraft and underworld. Hearing from the utmost depths, the dread Goddess approached, all entwined with fearsome serpents and leaves of oak, amidst a shimmering blaze of torchlight; while all around her chthonic hounds bayed shrilly, all the meadows trembled at her footfall, and the nymphs of marshland and river cried aloud. So enters Hecate moving through the night. 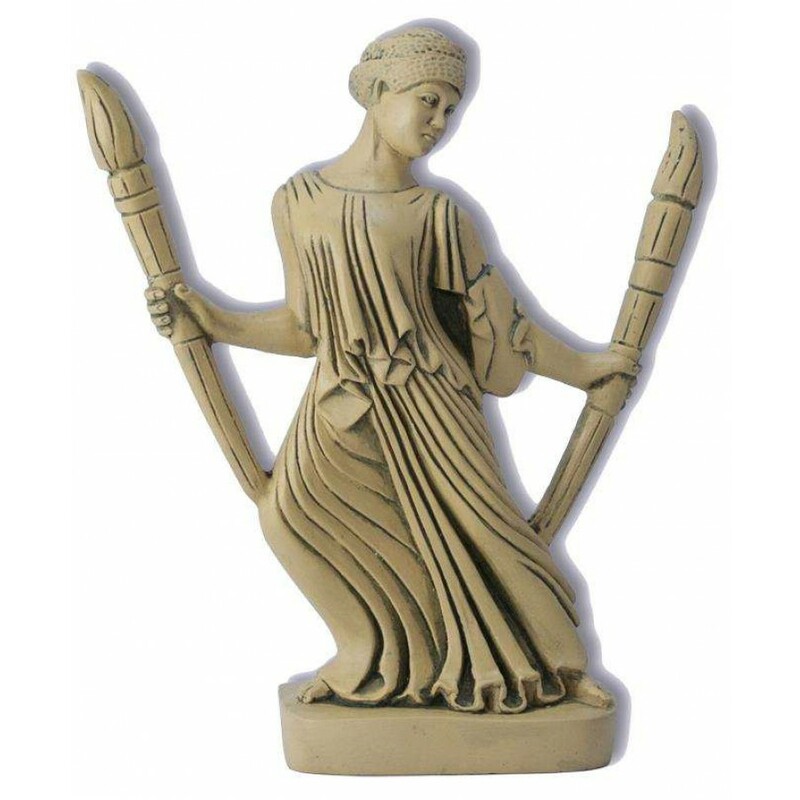 The famous Eleusian Mystery School performed rites concerned Hecate leading Persephone back from the underworld with her torches to embrace her mother, Demeter, and bring spring back to the world. 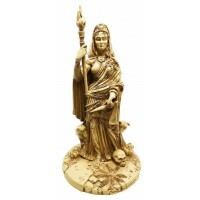 As a personal guide, Hecate show us the way to and from her Mysteries. She is a protector and transitioner. 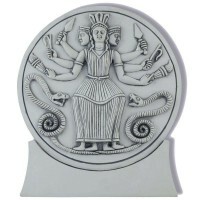 Images of Hecate often guarded the doorway to the inner sanctuary of the Mysteries. Here she hurries through the night looking back to ensure we follow and do not lose our way at the crossroads. 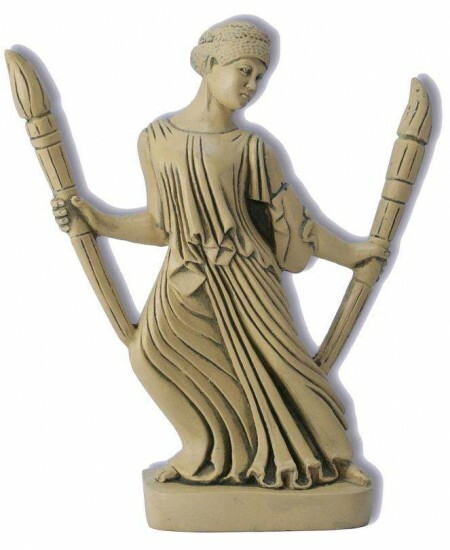 Based on a pediment carving at Eleusis, Greece from 480 BCE, this 5 1/4 inch high resin statue has a walnut shell color finish. Item Number: SS-HCT | Approximate Size (Inches): 6.00 wide x 1.50 deep x 5.25 high | Approximate Shipping Weight: 2.00 lbs. 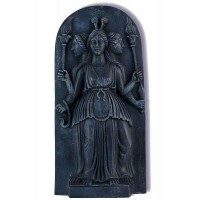 No goddess has been associated with witchcraft more than the Goddess Hecate..
Hecate, Goddess of the Night, Greek goddess of witchcraft and underworld, e.. US Standard Shipping Arrives to our warehouse in Florida and ships to you usually within 2-5 business days. Delivery via Priority Mail within 2-6 business days. US Express Shipping Arrives to our warehouse in Florida and ships to you usually within 2-5 business days. Delivery via Express Mail within 1-2 business days. International Delivery Arrives to our warehouse in Florida and ships to you usually within 2-5 business days. Delivery via Priority Mail International usually within 10 business days.May be subject to customs/import duties or taxes prior to delivery which is customers responsibility. PO Box/APO/Military Delivery Arrives to our warehouse in Florida and ships to you usually within 2-5 business days. Delivery via Priority Mail within 2-6 business days.